Why Not Throw a Spa Party! What better way to celebrate life than to throw a spa party with your family and friends at Michael Leonard’s! Make our salon your party central for a very memorable and special day. Talk to us about planning your special gathering after hours. We will help you create a great theme parties around any of our service offerings like facials, nails or energizing therapies. Together, we will plan a GREAT party. Our stylists and artists are always excited to join our clients in having fun! 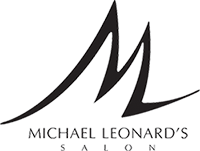 Relaxing and soothing personalized pampering; that’s the Michael Leonard’s way! Perfect for Birthday’s, Bridal & Baby Showers, Men’s Night or how about a very unique Fund Raiser….Now there’s an idea!! !